Almost a week since a brand new Boeing Co. jet plummeted into the Java Sea, there are still a lot of questions as to what happened that fateful day as the plane’s main wreckage and cockpit voice recorder eluded authorities seeking to unravel the mystery. 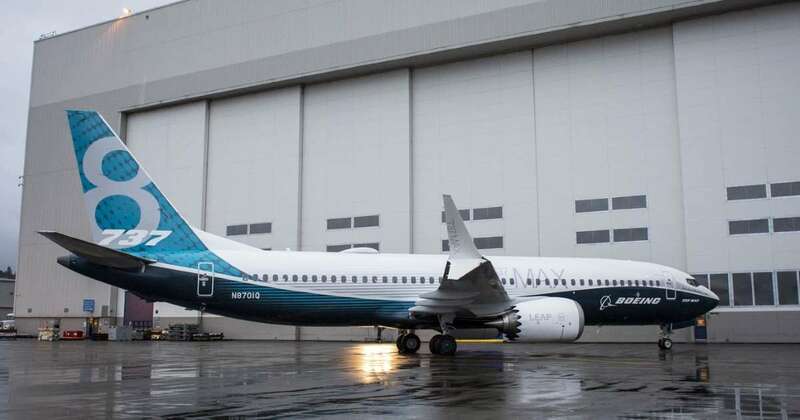 The Max 8 aircraft was the most recent model in Boeing’s storied 737 family, which is the Chicago-based company’s best-selling plane and a workhorse for the growing ranks of budget airlines. It had clocked about 800 flight hours since it was delivered to Lion Air in August. Lion Air Flight JT610, on its way to Pangkalpinang, a popular tourist destination a little more than an hour away, lost contact at about 6:33 a.m., 13 minutes after take-off. A little later, authorities confirmed the plane crashed 15 miles from Jakarta’s airport, with 189 people onboard, including its crew. That was 737 Max’s first hull loss, an industry term for an aircraft damaged beyond the point of repair. The Transport Ministry said that the crew requested a return-to-base before disappearing from the radar. It is unclear what the reason was, if at all it was relayed to air traffic controllers. The captain had completed 6,000 flight hours and the co-pilot had 5,000, according to Lion Air. The night before the accident, pilots flying the same plane from Denpasar, Bali, to Jakarta experienced problems with the sensors used to calculate altitude and speed, an issue that could potentially hold the key to solving the mystery. The instruments were checked by maintenance workers overnight and the plane was cleared to fly, according to Lion Air. Closely held PT Lion Mentari Airlines is owned by Rusdi Kirana, an Indonesian politician, businessman and a former member of President Joko Widodo’s advisory board. Kirana was also a member of the National Awakening Party, a part of Widodo’s ruling coalition. The budget carrier started operations in 2000 and is among the major customers for Boeing and Airbus SE in Asia. In February 2012, Lion Air placed an order for 201 of the 737 Max planes and 29 of the extended range 737-900 aircraft in a $22.4 billion deal valued at list price. In 18 years of service, the carrier has suffered seven hull losses. Following the crash, Indonesia stepped up inspections of aircraft in service and said it would ground those with technical snags that can’t be fixed. Inspectors found two Max 8 planes operated by Lion Air with defects during ramp checks, which have now been rectified. The transport ministry also ordered the suspension of managers in charge of maintenance, engineering, quality control and the engineer who cleared the ill-fated plane for take-off. After scouring shallow waters for days, divers have managed to retrieve only a flight data recorder and it appears damaged from the crash. They are still searching for the cockpit voice recorder. The black boxes, as they are known, are crucial to unraveling what happened during the final moments of the plane. The search teams have also been fishing out aircraft pieces, body parts of victims and their personal belongings. Divers also recovered an engine and part of the landing gear of the jet. It may be weeks or months before final details of the cause of the crash are shared by the investigators. Officials from the U.S. National Transport Safety Board, Boeing, General Electric Co. and the Federal Aviation Administration have joined the investigation. The 737 Max 8 is powered by engines made by CFM International, a joint venture between GE and Safran SA. The search teams may be close to finding the plane’s main wreckage and cockpit voice recorder on Saturday, according to the national search agency. Searchers plan to sweep a larger area for the fuselage and the black box, using ROVs, 56 vessels and more than 800 personnel.